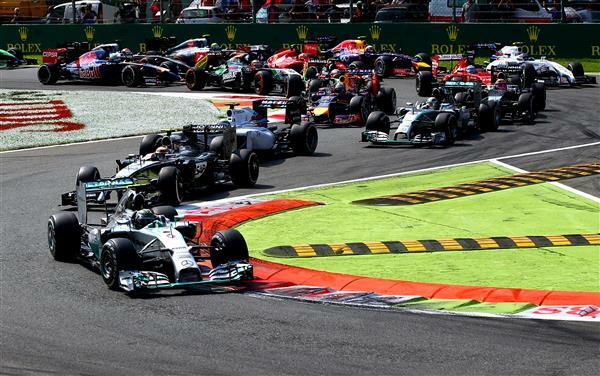 Welcome to The Independent's live coverage of the 2014 Italian Grand Prix, brought to you from Monza, Italy. I'm Jack de Menezes and I'll be keeping you up to date with the latest news and action as Lewis Hamilton and Nico Rosberg go head-to-head in their battle for the drivers' championship. Want to share your thoughts on today's race? You can contribute to the blog by clicking the 'Make a Comment' button above and we'll re-post the best ones. 30 minutes to go and the engines are firing up in the pit lane. How crucial could this grand prix be to determining the eventual champion? Hamilton can't afford another DNF, but a mistake from Rosberg could cost him dearly. It's all to play for. We're expecting a one-stop strategy across the field, with the drivers expected to come in between lap 18 and 25. The pit lane at Monza is also a very wide one, so there shouldn't be too much trouble when it comes to the stops. As it stands, unsurprisingly Lewis Hamilton leads the poll. We'll give you until lights out to vote for your winner of the Italian Grand Prix. Rosberg trails Lewis 58% to 21%, while 13% are backing Bottas to spring a surprise. Brilliantly, one person has voted for someone outside the top seven, and I can only think that Max Chilton has taken a quick second to give himself a nomination. Keep going Max! Lap 26: Hamilton pits with a 2.7 second stop - 1 tenth faster - but he's comfortably behind Rosberg when he comes out. That should be the stops done for and it's a race to the finish - providing they don't crash... Bottas makes light work of Perez and moves up to eighth. Lap 27: Red Bull comes out into the pit lane to receive Ricciardo from third, and that elevates Kvyat to fourth with the Toro Rosso yet to stop. Massa returns to third and Vettel will move up to fourth when Kvyat pits. Lap 28: Hamilton gets the message to drop back to around two seconds back in order to preserve the tyres. Hamilton responds by putting in the fastest lap of the race. It seems Hamilton doesn't do slowing down. Lap 29: HAMILTON LEADS! Hamilton was putting Rosberg under enormous pressure as he was within DRS range of the leader. Rosberg, perhaps feeling the pressure, out-brakes himself into turn one for a second time and has to go straight on. He rejoins the track but Hamilton is already past and into a healthy lead. Lap 30: While Hamilton assumes the lead, Fernando Alonso' Ferrari grinds to a halt at turn one of the crowd favourite is out of the race with a mechanical failure. That's the first time Alonso will fail to finish on the podium at Monza since joining Ferrari. Lap 32: Bottas attempts to pass Magnussen into turn one, but the McLaren holds firm and pushes Bottas out, forcing him to cut the chicane. The Williams is still in touching distance though. Lap 34: Bottas makes another lunge going into the second chicane but Magnussen is showing a strong defence to exceed his lack of experience. Ricciardo dives inside Raikkonen into turn one to take ninth, but it's the Magnussen-Bottas battle that is the best watch at the moment as Hamilton has built a near-four-second lead. Lap 35: Ricciardo is given the hurry up to latch onto the back of Button in eighth, but the Aussie is lapping significantly faster than the pack in front. Hamilton leads by 4.4 seconds, and it gets worse for Rosberg as he's used more fuel than his team-mate. He's certainly been accused of under-performing this season, but not many would deny seeing Felipe on the podium would be a pleasant sight. Lap 37: Bottas finally gets by Magnussen diving down the outside of turn one and moving up to fifth. It was noticeable that a large cloud of brake dust appeared from the Williams that time by and he's certainly done a lot of heavy braking today. To add salt to injury, Magnussen is hit with a five-second penalty for pushing Bottas off earlier, which seems largely unfair for me. He is not due to stop again, meaning he'll have to pit out of turn and lose a total of 30 seconds. Lap 39: With 14 laps to go, let's take stock. 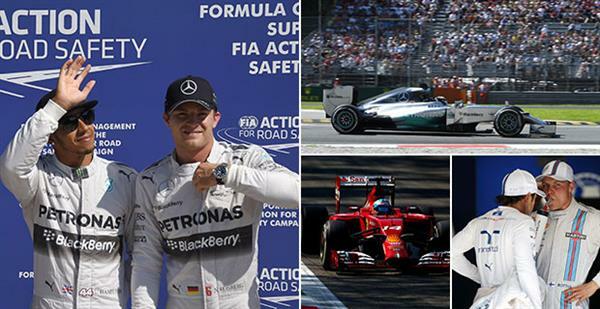 Hamilton leads Rosberg by 4.3 seconds, with Massa in a lonely third place. Vettel will have a battle with Bottas for fourth and fifth with Magnussen set to lose sixth when he pits. Button overtakes Perez in turn one, but the Force India is fighting back. The race side-by-side through the Curva Grande, second chicane and bot Lesmo corners, and Perez seals the spot with a fantastic defence. Brilliant driving from both drivers. Lap 40: Bottas passes Vettel to return to fourth, and that battle didn't take long. 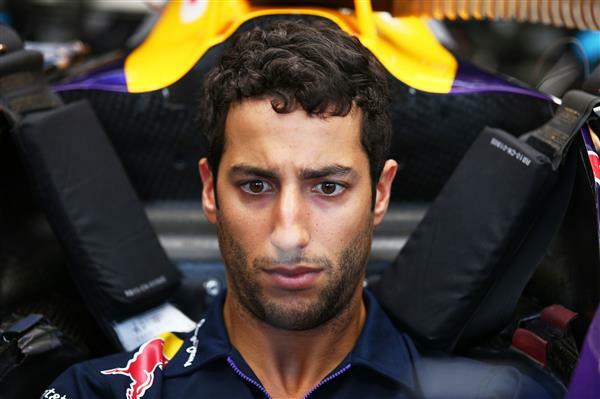 Ricciardo then surprises Button to move up to eighth, and from eyeing up seventh button is now down to ninth. Lap 41: Take a bow Daniel Ricciardo. The Australian pressures Perez into locking up into turn one. He then gets a good exit from turn two, and switches from left-to-right-to-left going into the second chicane, nailing the pass in the process. Great racing from the Red Bull driver. Lap 42: Button finally passes Perez, but Button is compromised on the exit. He holds off the Mexican on the run to the second chicane, but out-brakes himself and Perez gets a lovely exit to pass by on the run to Lesmo. Maybe third time lucky for Jenson? Lap 45: Ricciardo gets sideways as he locks up his tyres into turn one, but it doesn't matter as he passes Magnussen for sixth in the process. The next man up the track? 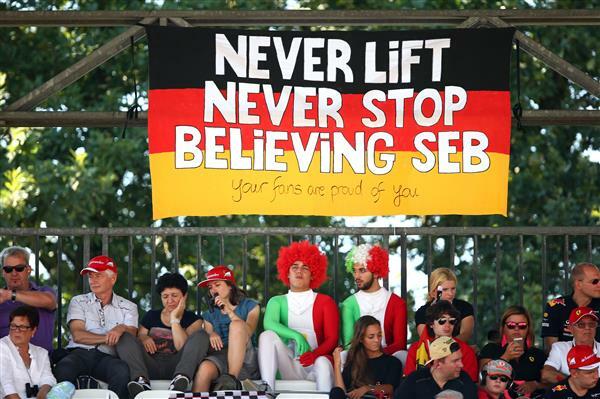 His team-mate Sebastian Vettel. This could get tasty. Lap 47: Both Merecedes are nursing brake temperatures. Ricciardo is given the message to go and catch Vettel, and he's just four-tenths behind. Lap 47: Ricciardo makes his move immediately into turn one. Vettel fights back, and as the two emerge through the red smoke from a flare side-by-side, it's Ricciardo who takes fifth. Great stuff from Ricciardo and it's no surprise why he's so well liked. Lap 49: Vettel could be in trouble here. Magnussen is catching him quickly, and while he will get a five-second penalty after the race he's pulling Button and Perez with him. Can the German hold on to sixth in the remaining four laps? Lap 50: Hamilton has a massive lock-up going into turn one. Ferrari confirm Alonso retired with a ERS failure, as Grosjean holds onto 16th ahead of Gutierrez only via the Sauber running off in his attempt to pass. Lap 51: Gutierrez suffers a puncture as a result and he has to limp round the entire circuit to recover to the pits. Perez is hassling Magnussen for seventh, although at this rate he'll get it regardless due to the Finn's penalty. Lap 52: Rosberg as the gap down to 3.6 seconds, but he's quickly running out of time to challenge his team-mate. Perez is all over Magnussen here. Lap 53: Kvyat has a massive moment at turn one! The Toro Rosso arrives at about double the speed of those in front and he narrowly misses the back of Raikkonen by taking avoiding action. That could've been a nasty accident, and looks to have been a brake failure rather than driver error. Hamilton is on the final lap. 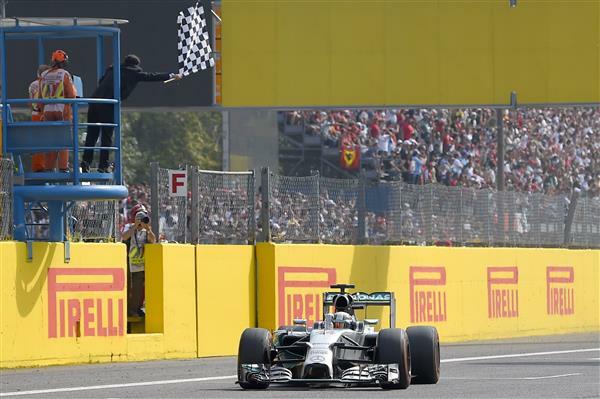 CHEQUERED FLAG: LEWIS HAMILTON WINS THE ITALIAN GRAND PRIX! Chequered flag: Hamilton caps a fantastic recovery drive to win his second race at Monza. Rosberg takes second with Massa a well deserved third. Bottas recovers to fourth, and Vettel holds on to fifth. Magnussen crosses the line sixth but will drop down the order with his penalty, meaning Perez will take sixth ahead of Button and Raikkonen. Chequered flag: Well that was simply a fantastic race, and it's left for both Mercedes and Williams to celebrate. Hamilton closes the gap to Rosberg to 22 points, but it's still all to play for with 175 points up for grabs. Williams move ahead of Ferrari in the Constructors' Championship as a result of a three-four finish, and Rosberg doesn't sound too displeased with his result. It's also another tip of the hat to Ricciardo, as he beats Vettel once again with a superb Sunday drive. Chequered flag: While both Bottas and Ricciardo are candidates for driver of the day, the award has to go to Hamilton, who recovered brilliantly from his woeful start and ERS failure to pass Magnussen and Massa without drama. He pressured Rosberg into a mistake and took the lead which he would hold on to until the end. That could also see a few doubts creep into the mid of Rosberg, given that he was unable to beat Hamilton once again in a straight dogfight. That's all from me. I'll leave you with the image of Hamilton crossing the line to take victory. Thanks for joining me for today's race and I'll see you again in two weeks for the Singapore Grand Prix.